Throughout the year, we will share stories featured in the 2016 Proctor Magazine online. Enjoy this feature on Bob Merriam '41! Each winter, Proctor’s European Art Classroom takes a trip to Normandy and tours the museums that honor the Allied soldiers during World War II. One of the those soldiers was Robert Merriam ‘41. As one of the oldest living Proctor alumni and the only surviving member of the Class of 1941, Bob’s story provides a window into Proctor Academy of yesteryear. The impact of his Proctor experience was remarkably similar to recent alums, as it nurtured his passions and unlocked his potential. Growing up sailing on Narragansett Bay in Rhode Island, Bob was destined to be on the water. 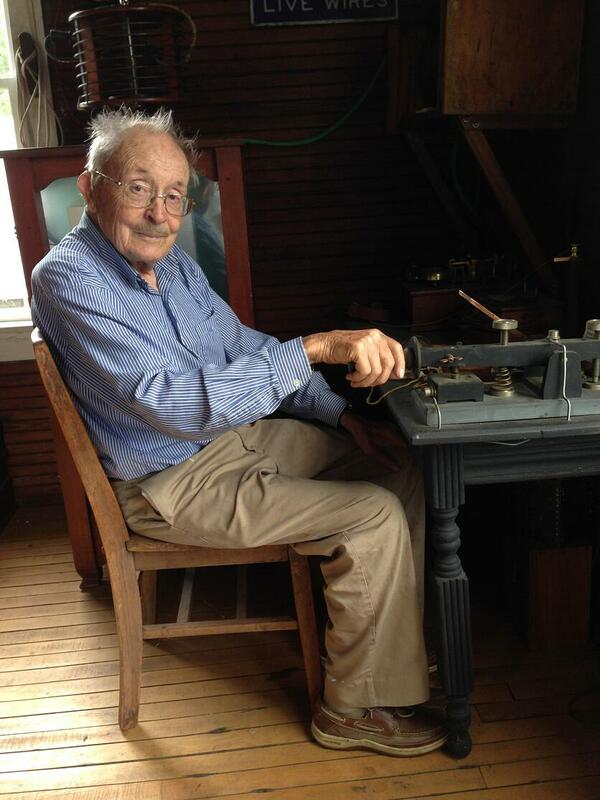 He brought his passion for sailing to Proctor Academy in the fall of 1939. 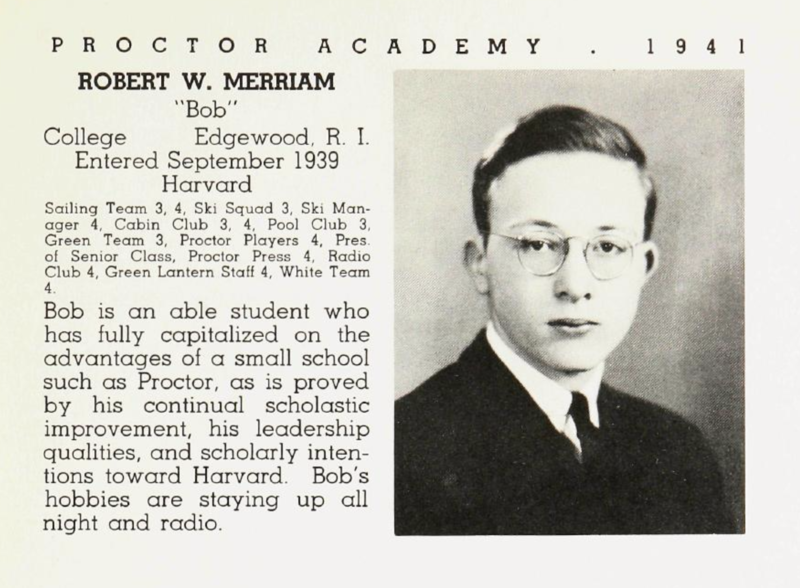 Over the next two years, Bob captained the sailing team, became a member of the ski club, Cabin Club, Proctor Players, was President of the Senior class, Green Lantern editor, and gave the valedictory speech at Proctor’s 1941 Commencement. Perhaps most importantly, however, at Proctor he was able to explore a newfound love: amateaur radio. Bob’s love for radio and electronics, which he developed alongside his cousin, Richard Day, Jr. ‘42, launched him into his career in the US Army. Immediately after his graduation from Proctor, he enrolled at Harvard University, but soon enlisted in the US Army Signal Corp. After basic training, Bob was stationed in Liege, Belgium during the Battle of Bulge. He served in highly technical jobs coordinating marine radio communications while hidden in a castle. His cousin, Richard, recalls one time he connected with Bob over the radio from his own outpost on the other side of Europe. Following his service with the US Army, Bob finished his degree at Harvard, earning both a Mechanical Engineering degree and a Master’s in Electrical Engineering. He taught electrical engineering at Swarthmore College for several years before moving back to Rhode Island. While teaching at Brown University, Bob met his future wife, Nancy, a textile designer with a degree from Rhode Island School of Design who would go on to start the textile arts department at UMass Dartmouth. The couple married on December 21, 1954 and immediately set sail for a honeymoon in Bermuda - in a blizzard! It was this sense of adventure, love of the water, and highly technical training that set the course for the remainder of Bob’s career in marine electronics. He developed the first fish-finder device, and started a business that serviced the commercial fishing fleet of Montauk. His business, Merriam Instruments, grew to encompass other marine navigation devices, outfitting the finest sailing yachts around the world. One of his most reliable customers was a man named Thomas J. Watson, the founder of IBM computers. Watson hired Bob to equip all of his yachts with his technology, flying him to Europe and Asia to oversee construction of the technology in his new vessels. Their business relationship turned into a close friendship, and both Bob and Nancy reflect fondly on their time sailing around the world with Watson. Despite a career that allowed him to travel to the world, Bob and Nancy found stability in their home in East Greenwich, Rhode Island. They have lived in the same antique cape since 1956, where they raised their two children, and have been integral members of their community for the past sixty years. On top of running his own business, Bob was an assistant professor of electrical engineering at the University of Rhode Island, registered professional engineer, land surveyor, recipient of US patents in radio electronics, founded the National Marine Electronics Association, and still found time to start the New England Museum of Wireless and Steam (NEMWS) in 1964, which houses one of the finest collections of its kind in the world. In 2001, Bob was awarded the General Tools Award for his lifetime of work in the field of electronics by the Society of Industrial Archeology. Bob’s list of achievements, honors, and society memberships is a mile long, reflecting his deep passion and a lifelong commitment to understanding, preserving, and sharing with others the joys of engineering. 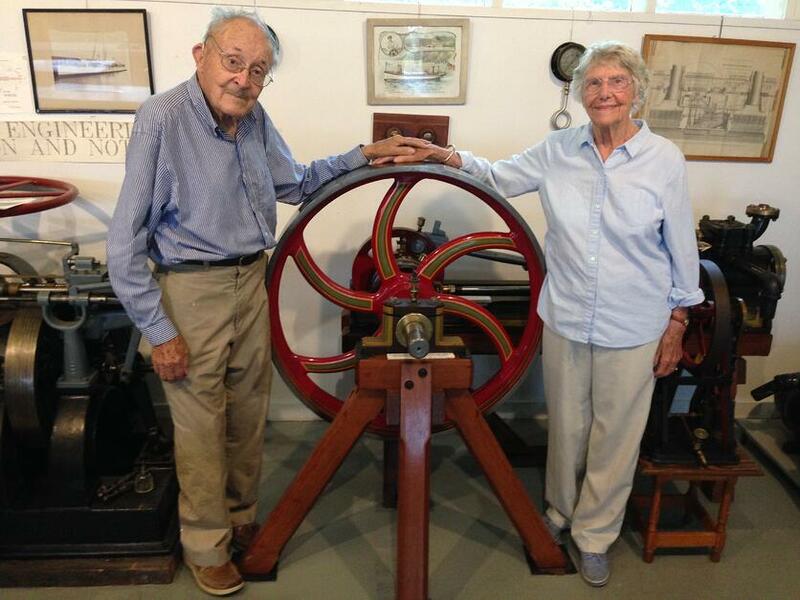 If you ever happen to be in East Greenwich, Rhode Island, be sure to stop by the Yankee Steam-Up at Bob’s museum and mention to him you are part of the Proctor family. His eyes will light up almost as much as they do when he’s teaching others about early electronics and steam engines.